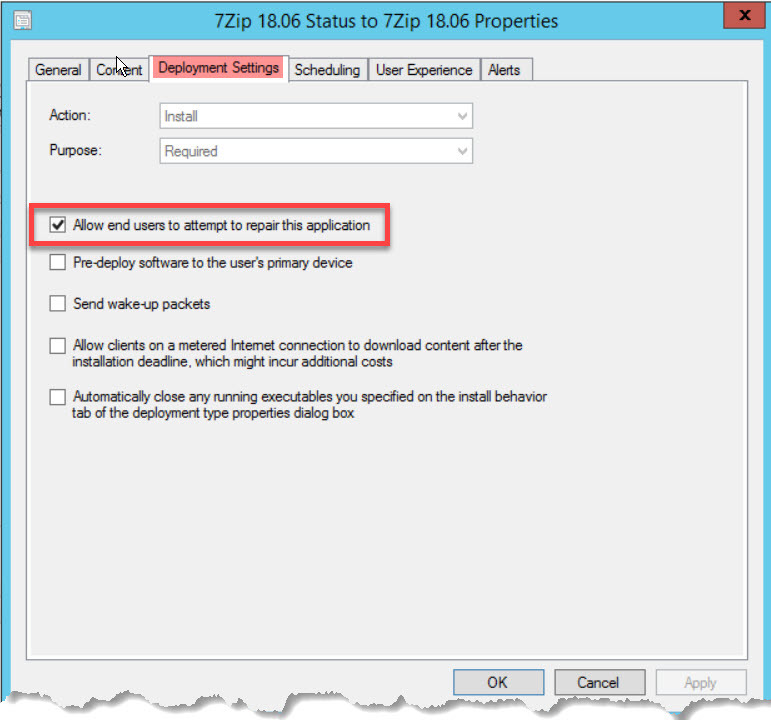 We can now repair the applications from software center after upgraded to ConfigMgr 1810. Its only available for Windows Installer & Script Deployment Types and not for all. There are two things we need to do for repairing applications from software center. Specify repair command line in the deployment type. 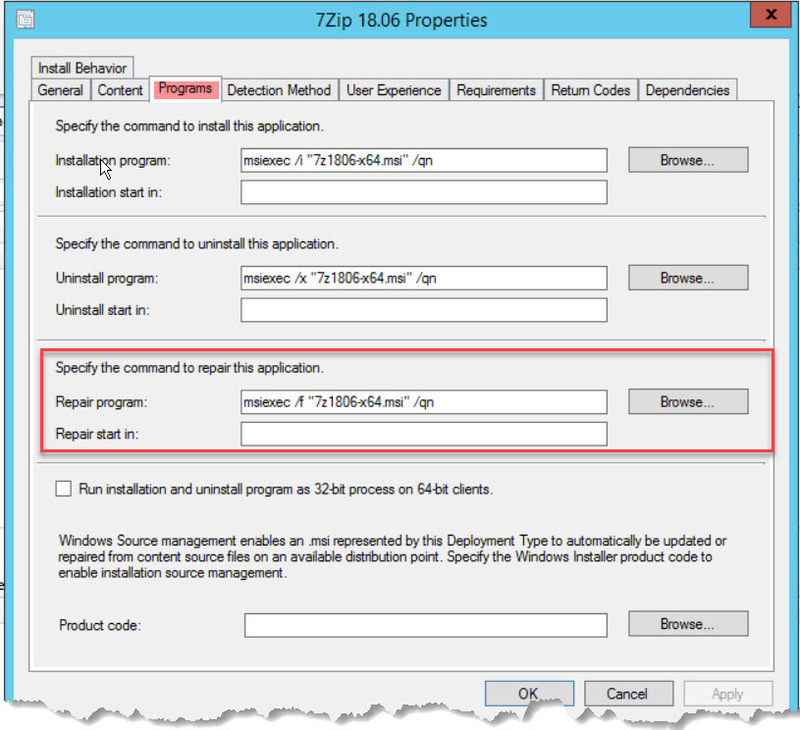 Select end users to repair the application from software center option in the deployment. On the deployment type properties, go to programs tab and specify repair command for the application and click ok to close the properties. Properties of the deployment, select Allow end users to attempt to repair this application under deployment settings and click ok.
Once we completed the above settings in the application in SCCM console. You can see Repair option enabled in the software center on the client machine and click Repair button to repair the application. AppDiscovery.log – Detects whether the application is installed or not and content to use for repairing the application. AppEnforce.log – Records the repair actions of the application. Good article..clearly explained with visuals….